Year 7 students progress through units on throwing, catching, striking, accuracy, and kicking. In year 8 students learn sport specific skills and tactics. Our year 9 students build on these skills. They also design sporting competitions and try the roles of player, coach, scorer, referee, captain, and administrator. Our year 10 students use community organisations to learn how to continue an active lifestyle after high school. 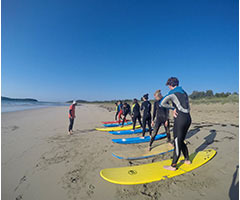 Our Outdoor Pursuits program enables students to safely gain knowledge, enjoyment and experience in Outdoor Recreational Activities. These activities are designed to challenge the students and to help them develop more confidence, maturity and leadership skills. Our year 10 advanced students build on these skills as they become more self-reliant. They progress through units on canyoning, rock-climbing, caving, abseiling, first aid, snorkelling, canoeing and bushcraft. There are many ways for students to be involved. Students can be involved in school sport as a player, coach or manager. 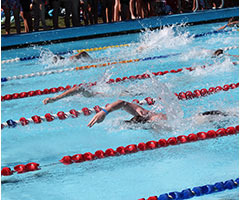 Many sports are offered each term. 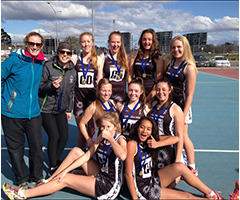 Our school has enjoyed success in Basketball, Football, Futsal, Rugby, Volleyball and Athletics carnivals. Teams are entered in the Interschool Sporting Competitions based on student interest and staff availability.